Popularly known as ‘Durrrr’, Tom Dwan is one of the top poker players in the history of the game. He is an American professional poker player who has been on the circuit for a while. Tom is one of the very few professional players who don’t bait an eyelid losing millions of dollars at a poker game. Our article today is dedicated to the life and games of this legend in the world of poker. Who is Tom Dwan? How did he start in the world of poker? What is his net worth? Would you also want to learn one or two things from his gaming style? Read on to learn all about this young man and his exploits in poker. Tom Dwan was born on the 30th of July, 1986 in Edison, New Jersey and he resides in the same city since he was born. He is an American poker player known for his online games. Dwan is popular for his highest stakes No Limit Texas Hold’ Em Omaha online games. He is known to play primarily on Full Tilt Poker with the screen name of ‘durrrr’. Tom has won various prizes at live poker tournament and has also appeared on various series which include National Heads Up Poker Championship of NBC, the 4th, 5th, 6th, and 7th seasons of Poker After Dark, the 5th and 6th season of High Stakes Poker of GNS, and the 3rd, 4th, and 5th seasons of Million Dollar Cash Game of Full Tilt Poker. Before moving into poker for full time, Tom Dwan enrolled at Boston University where he later dropped out to pursue his career as a full time professional poker player. Tom started playing at online poker and he has made a lot of cash from this platform. He started his game with a small $50 bankroll and has gone ahead to grow his bankroll to a huge amount. When he started at online poker, he began playing at sit-and-go tournaments. Later on, he switched to multi-player cash games and then moved on to heads-up cash games. According to report from HighStakesDB, Tom earned a total of $312,800 in the year 2007 playing Full Tilt Poker. In 2008, he made a total of $5.41 million. Earlier in 2007, before the World Series of Poker, he claimed to have lost a total of $2 million from his $3 million bankroll over a period of four months. Tom is one of the few players who do not go crazy losing big at a game. It seems he understand the game on a higher level and he understands that poker or any other casino game for that matter is a game of chance that a player can win big and at the same time lose big. This mindset has continued to push him and make him raise the bar at every game. Although he lost a whopping $2 million in 2007, Tom announced that within a year, he recovered from the loss. Also in the January of 2009, Dwan made another loss worth over $3.5 million. Interestingly, he recovered from the loss again within a six months period. Between October and December of 2009, Tom made the biggest loss in his game at this period. He lost about $2 million USD to Ilari Sahamies and Phil Ivey, and another $5 million to Viktor Blom, a Swedish professional poker player. Sometimes in Novemeber of 2009, Blom challenged Tom to a series of heads up No-Limit Hold’ Em cash games which Tom Dwan took without a second thought. Blom is popularly known for his screen name, Isildur1 and he made a foray into the online high stakes cash games in late October, 2009. When Blom started playing at online games, he lost a total of $1.1 million to poker professional players, Brian Townsend, Patrik Antonius, and a couple of other high stakes professional poker players. By November, Blom has made a rebound from his losses and sent out the challenge against Dwan for a heads up marathon games at six tables at a go. The stakes for this challenge was more than a million dollars in the play. Within the same week that the game started, Blom had made one of the biggest wins in the whole history of poker online game. He won about $5 million from Tom Dwan which prompted Tom himself to issue another high stakes, this time a live challenge, to play with Blom at a Full Tilt Poker Durrrr Million Dollar Challenge. By the end of 2009, it was reported that Tom Dwan had lost about $4.35 million in online poker which puts his cumulative winnings at Full Tilt online poker since the beginning of January of 2007 at about $1.4 million. According to HighStakesDB, after Tom stepped down in limits after he lost to Isildur1, he went ahead to win a total of $2.7 million in the month of September, 2009. The report went further to highlight that Tom had been able to recoup more than his total losses in 2009 within the first few months in 2010. It was reported that he won a huge $1.6 million within the first two weeks of the month of April 2010. In addition to this, he won another cumulative $7.3 million after the session where he won a total of $1.6 from poker player, Sahamies in just two hours. By the end of April, 2010, Tom has won over 7.3 million at the online game. However, within the next three weeks, he had lost another $4 million which left him a total of $3.3 million by the end of the year. In the January 2009, Tom issued a $1 million challenge to play with anyone at the poker room online. However, he made an exception to who qualify as ‘anyone’. He specifically mentioned that Phil Galfond was not welcome in the challenge. The challenge entails heads up for a total of 50,000 hands 4-tabling at $200/$400 limit of higher of Pot Limit Omaha or No Limit Hold’ Em. Tom stipulated that if his opponent is able to get ahead of him after the 50,000 hands, he will pay the player additional $1,500,000, and if Tom is the one ahead, he will receive $500,000. At this time, he was of the opinion that all his prospective opponents are better than he is a little bit, however, he believes that even at that, he might have an edge over them. Daniel Cates and Patrik Antonius played with Tom Dwan at his challenge but none of the challenge got completed. In late 2013, October specifically, Daniel Cates was ahead at the challenged with around $1.2 million after about 20,000 hands. After this period, it seemed that the challenge fizzled out. Daniel Cates went public to declare that Tom has stopped playing at the game and has not responded to any of his queries. As at August of 2017, Cates mentioned that Tom Dwan had only paid him about $800,000 in fines for reneging. He went further to say that Tom was committed to play the game to the end and they are expecting that the game will be completed before the end of 2018. Tom Dwan cashed his first ever liver tournament at the young age of nineteen. This winning took place at the second season of European Poker Tour which took place in London. Tom played at the £3,000 No Limit Texas Hold’ Em Main Event and finished in the 12th place. At the end of the game, he won a total of £7,000. After this game, he didn’t win any live tournament until he turned twenty one. At the age of 21, Tom made his next cash win of $324,244 at the 2007 World Poker Tour during the World Poker Finals’ $8,700 No Limit Hold’ Em Championship Event. He finished in the 4th place with earnings of $324,244. In January of 2008, Tom also finished in second place at the $3,000 Pot Limit Omaha with Re-buys event of Aussie Millions. He won a total of $90,716 at this game and later went on to finish in the 62nd place of the A$10,000 No Limit Hold’ Em Main Event. He won a total of A$25,000 at the game and played at the 2008 World Poker Tour Borgata Winter Open during the preliminary $5,000 No Limit Hold’ Em event. He finished in the second place to James Michael Sowers and earned $226,100. During the first year that he was able to play at the World Series of Poker event, Tom cashed twice at this game. The event took place in the United State and Dwan got to the final table of the $10,000 World Championship Mixed Event at the World Series of Poker 2018. He finished in the eighth place and earned a total of $54,144. Tom also almost made it into another 7-person final table. Unfortunately, he finished in the eighth place at the $5,000 No Limit 2-7 Draw with Re-buys event. He earned a total of $445,110 at this event. He also took part during the National Heads up Poker Championship of 2008 that was organized by NBC. At his first game, Tom defeated Phil Hellmuth during the third hand. He was however eliminated at the next round by poker player, Mike Matusow. During the Five Star World Poker Classic of 2008, at the $25,500 World Poker Tour Championship, Tom Dwan finished in the ninth place and won a total of $184,670. He also played in the $1,500 No Limit Hold’ Em event of the 2010 World Series of Poker. He finished in the second place with a winning of $381,885. In the year 2011, Tom Dwan cashed at three different times at the World Series of Poker. His winnings include a 5th place finishing at the $10,000 H. O. R. S. E Championship for a winning of $134,480. As at August of 2017, Tom’s live tournaments have total more than $2,900,000 in winnings. Dwan went out of the scene in 2016 and he was conspicuously absent at the World Series of Poker event of that year. According to speculations, he was said to have travelled to play a poker tournament at Richard Yong’s Casino at Montenegro. However, he returned and came for two different events. He played at the 3rd Edition of Triton Super High Roller Series that took place in Manila. He was also seen with Daniel Cates during the event. In 2016, it seemed Tom Dwan was more interested in private cash games than he was in the World Series of Poker or World Poker Tour events. In the year 2017, Tom made another appearance at the 2017 Spring Challenge of Macau Billionaire’s Poker which took place at the Babylon Casino, Macau. From the 17th to 20th of March, the Super High Roller event saw Dwan lose against Mikita Badziakouski, the Belarus poker player, at the final. Since the February of 2014, Tom had not made another appearance at a live cash tournament until 2017. At the 2017 live tournament event, Tom went home with the runner up price of $275,000 USD. Tom also played some live cash games that are worth mentioning. As a matter of fact, he holds the record for the biggest pot won at a televised live poker game with over $1.1 million in winning. The game took place at the 4th season of the Million Dollar Cash Games of Full Tilt Poker. His record exceeded the previous record which was over $919,000. Interestingly, this record itself was won by Tom Dwan himself during the 5th season of High Stakes Poker. By 2016, Tom has spent a great deal of his time playing for high stakes cash games in Manila and Macau. In the recent time, Tom has almost ditched the regular Texas Hold’ Em in favour of other games which include mainly short deck Hold’ Em. During an interview he had with Poker News in 2018, Tom revealed that he sees poker as more of game than sport. He went further to say that he was tired of what he referred to as the continuous stare-downs that many poker players currently employed during games. He admitted that he contributed to the popularity of stare-downs but he disagreed with the constant use of the technique by players when they are not in critical circumstances. Not one to stay put, Tom seemed to be issuing challenges when it seems the circuit is a bit quite. His Million Dollar Challenge also got extended to a 500 hand live heads up set-up in which he called the Full Tilt Poker Durrrr Million Dollar Challenge. This event held from 17th of November to 19th of November, 2019 at the Les Ambassadeurs Club, London, and was also televised through Sky Sports. The regulations of the Challenge require that each of the players paid a sum of $250,000 for an opportunity to play. Blinds were put at $500/$1,000 where each opponent has the choice to play either Pot Limit Omaha or Texas Hold’ Em. The rules went further to state that none of the players could leave the game until they have played a minimum of 500 hands or one of the players had lost all of their buy-in and opt not to rebuy. The opponents of Dwan include Ilari Sahamies- Ziigmund, Sammy George- Any Two, and Marcello Marigliano- Luckexperess. The first game was between Tom and Marcello Marigliano, and the game was made up of majorly Texas Hold’ Em, even though the players agreed to play Pot Limit Omaha close to the end of the game. During this game, Tom Dwan lost a total of $22,500 USD which was emphasized by two different bluffs made by Marigliano. The second match was between Tom and Ilari Sahamies, and the game chosen was Pot Limit Omaha. The game became quite aggressive at some point even though it began at a slow pace which was a big surprise, especially when you considered the previous online competitions between these two players. The game involved various large pots which resulted in big swings on the stacks of both players. After twelve hours of drilling, the game ended with Tom winning a sum of $68,000. The game rounded up with Tom Dwan and George taking the table. The poker match consists of only Texas Hold’ Em. Both players settled for a 7-2 prop bet where a player wins an addition $10,000 if he wins one pot with 7-2. This rule led to one of the biggest memorable bluffs in all of television poker history. Dwan bet a total of $479,500 into a pot of just $162 where he was bluffing with his 7-2 against the two pairs of George. (George’s 2 pair includes sizes and aces. After a great deal of consideration, George went on to fold his two pair even though Tom had mentioned he had 7-2 after making 6x pre flop raise. George lost a total of $750,000 at this game. At the end of the game, Tom Dwan took home a final profit of a huge $795,500 with his two of the three games winnings. In the November of 2009, Tom became an active member of the Team Full Tilt and got signed up again as one of the brand ambassador for the website on the 15th of October, 2012. Under a year, Full Tilt Poker made the announcement that the deal between them and Tom Dwan has come to an end and the contract would not be renewed. Tom Dwan net worth is over $10 million USD. He is still very much in the game and it is believed that he will make much more before he retires from the field of poker. Recently, Tom shared his reservation about the No Limit Hold’ Em poker game. Tom, who recently concluded in a 5th place at the Short Deck Ante Only of the HL $500,000 No Limit Hold’ Em, said there is something wrong with No Limit Hold’ Em game these days. It is essential to mention that the tournament where he played was a segment of the Triton Poker Super High Roller Series which took place in Jeju. Tom was one of the many players that have shown preference for the new short deck version over the full deck of No Limit Hold’ Em. This preference has significantly reduced the presence of players at the full deck of the game’s tournament. According to Tom Dwan, the full deck No Limit Hold’ Em is no longer what it used to be. He went further to say that the issue is not particularly with the game but the atmosphere that surrounds the table. Based on his observation, the atmosphere has gone a bit sour with many players engaging in the stare-down technique which is constantly slowing down the game. He pointed out the fact that poker players are deliberately slowing down the game’s pace which has ruined the excitement and spontaneity that comes with the game. Tom Dwan is not the only professional poker player who shared this sentiment about the game. Bryn Kenney also agreed with him. Kenney took to Instagram to applaud Tom’s statement saying that Tom was dead right. He added that there should be a fine attached to staring at amateurs. According to him, the game is no longer fun which means many players are no longer attracted to play it. Other players that have lent their voices to this conversation include Antonio Esfandiari. Tom who has ranked in more than $3.1 million USD in live tournament games believes that stare-down is a deliberate action in a good number of No Limit Hold’ Em tournament games which should be penalized. There is no doubting the fact that the game of No Limit Hold’ Em has changed over some decades. The inclusion of the shot clock and big blind into the game has been aimed to maintain a more synchronized pace at the game. However, it seems a more stringent measures need to be applied before many of the big league players totally move out of the game. Tom recently lost a huge $2.35 million USD pot to Paul Phua during the Triton Super High Roller Cash game. Really, there is nothing as bad as getting all your money into a poker pot just before a flop and only to see your rival immediately make a call and turn in the aces. This is exactly the situation that Tom found himself during the new episode of Triton Poker Super High Roller Cash Game. 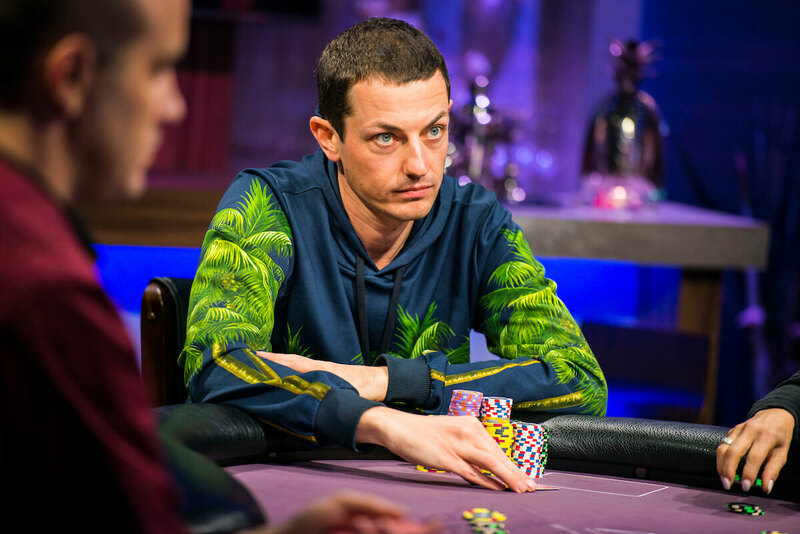 Tom Dwan and Paul Phua found themselves in one of the biggest pots that has ever been televised in the history of poker show. The game took place at South Korean Won with the blinds of SKW 3 Million/6 million which counts as $2,700/$5,400. In addition to this, there was an extra 6 million line of big blind ante. Phua already posted another $10,000 (SKW 12 million) which was straddled under gun. What this means is that a sum of $24,200 (SKW 27 million) was already available in pot right before the game started. The cut-off was opened by Dominik Nitsche which raised it to $27,000 (SKW 30 million). The game got hooked to Dwan at the big blind which raised the pot to $107,500 (SKW 120 million). This was a big welcome to Paul Phua who had already been given an ace as straddle. With a brief consideration, Paul raised the bar again to $287,000 (SKW 320 million) in pot. At this point, Dominik exited the hand and Tom Dwan was left with the decision making. After a four-minute thought, Tom moved everything in, amounting to a bet of $1.16 million (SKW 1.3 billion). This brought about a snap call from Paul Phua and right there and then; Tom realized that he was in a big trouble. Although he didn’t suspect that Phua has poker aces with him, he still went on with the blank. Unfortunately, the board skittered without providing any helping hand to Dwan and right by the river, Dwan was already in dead drawing. Paul won the pot totalling $2.35 million (SKW 2.615 billion). Immediately after this huge loss, Tom Dwan left the game and announced that he was going to play short deck. Obviously, Tom was very accustomed to making big losses as well as big wins. 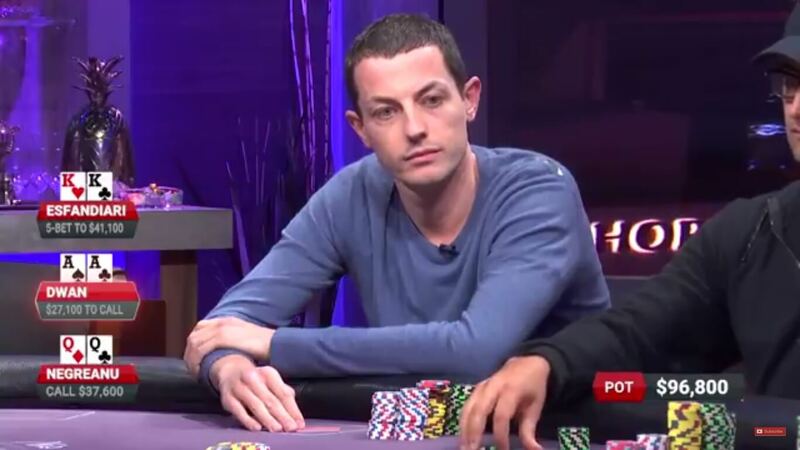 Although it couldn’t have been fun to lose a large sum of over a million dollars within minutes, Tom Dwan seemed not to be overly perturbed. Come to think of it, he is one of the very few poker professional players that are not strangers to making big losses and wins in the history of poker. Tom Dwan is a unique character in the field of poker games. He had experienced a lot of big wins as well as huge losses at tables but he is always being matured about whatever the game throws at him. Daniel Cates had once recounted a story involving Tom losing a huge $20 million pot at Macau. Although Tom has lost severally in pots, he has also made some of the biggest winnings at a single game.